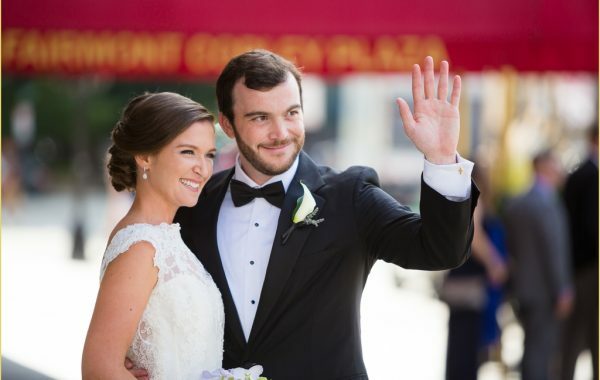 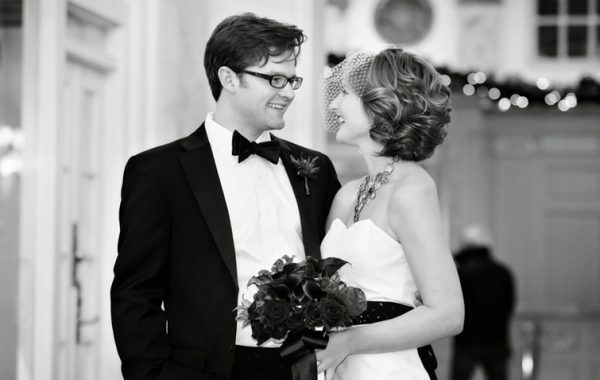 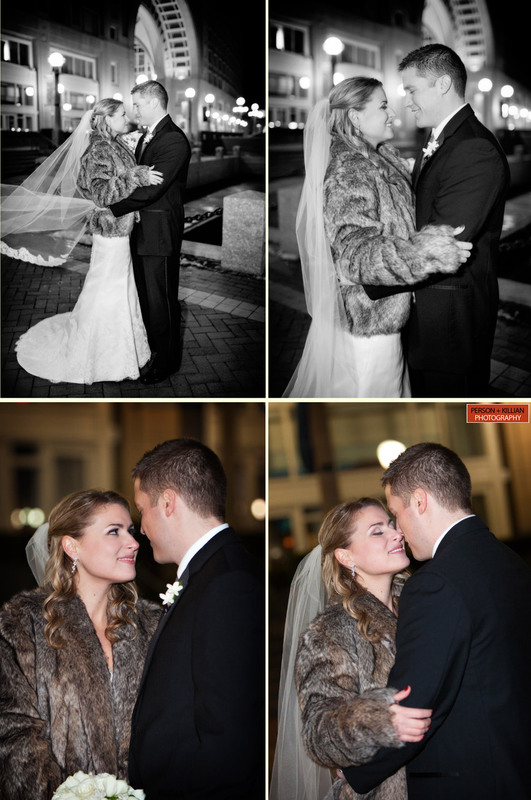 We love winter weddings, and Ali + Jimmy’s Boston Harbor Hotel wedding this January was a great way to continue this season and kick off the new year! 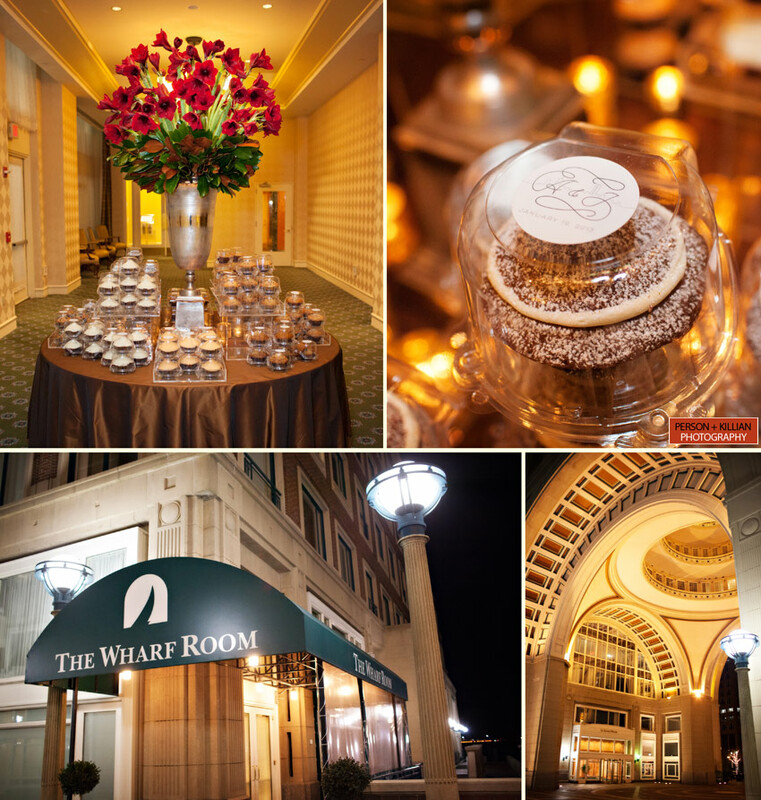 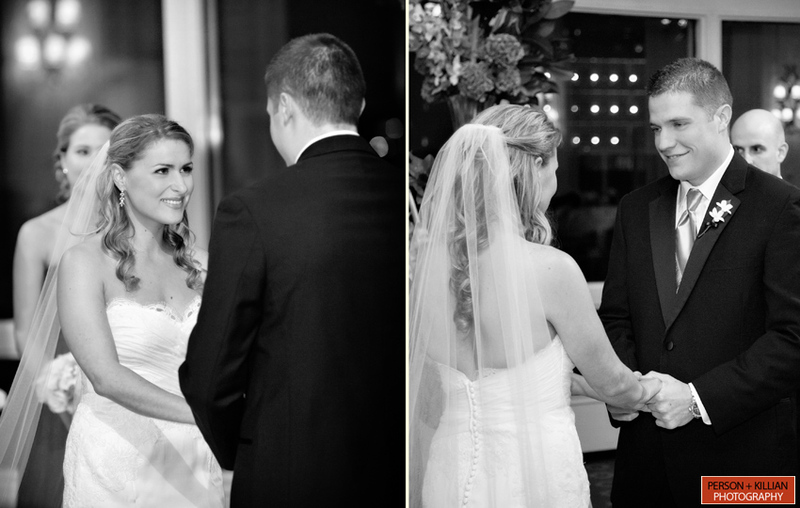 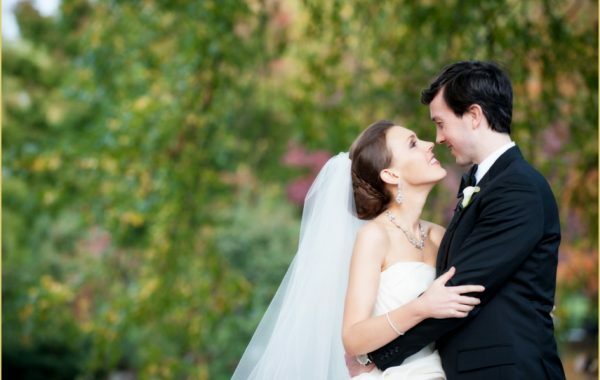 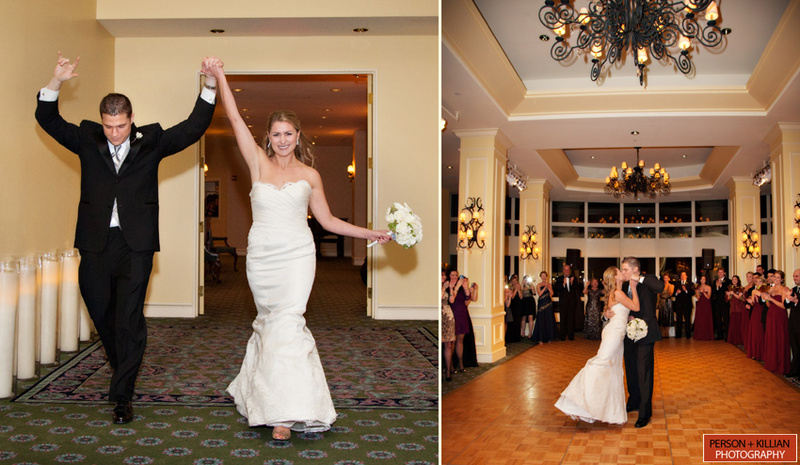 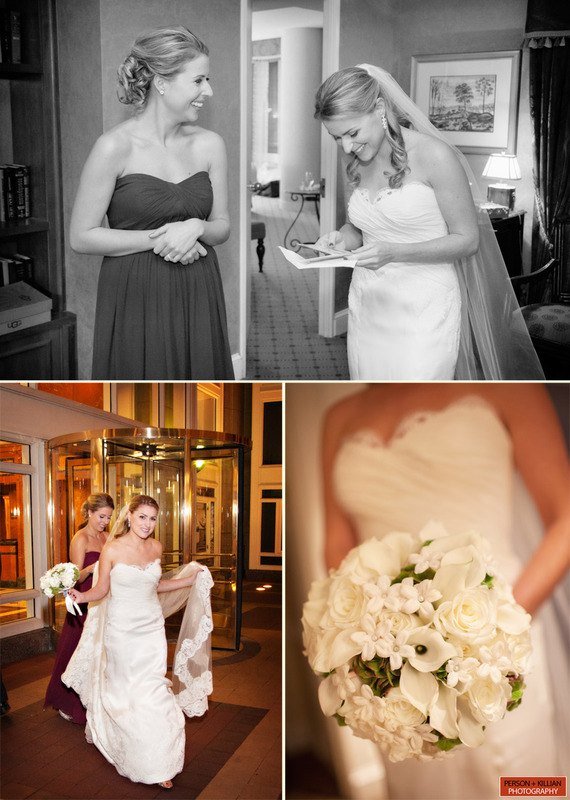 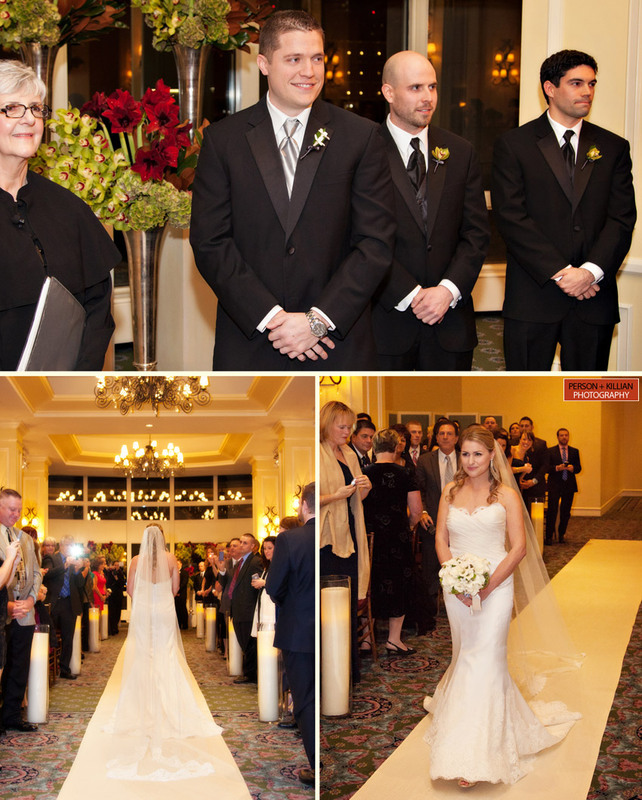 All the days events took place at the Boston Harbor Hotel — starting with the beautiful ceremony in the Wharf Room. 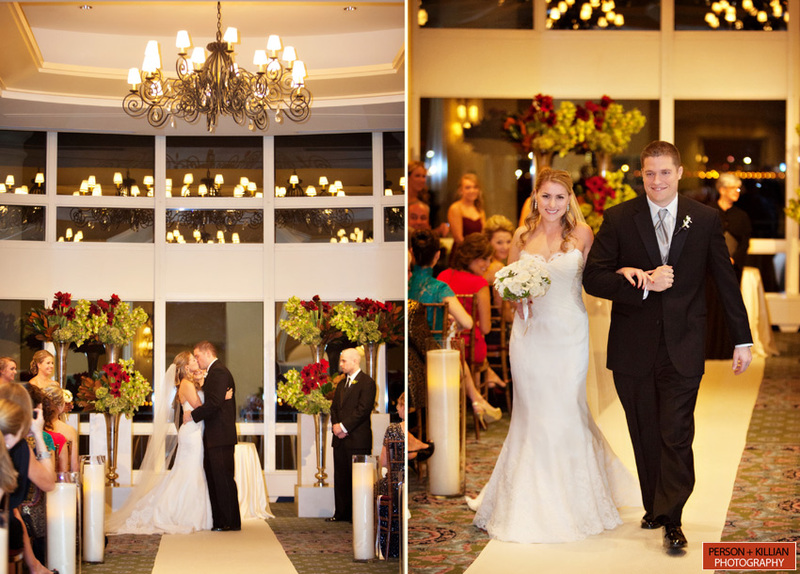 Candles lined the aisle, the chandelier’s reflection in the window made the room soft and romantic and the end of the aisle was adorned with beautiful floral arrangements by Winston Flowers. 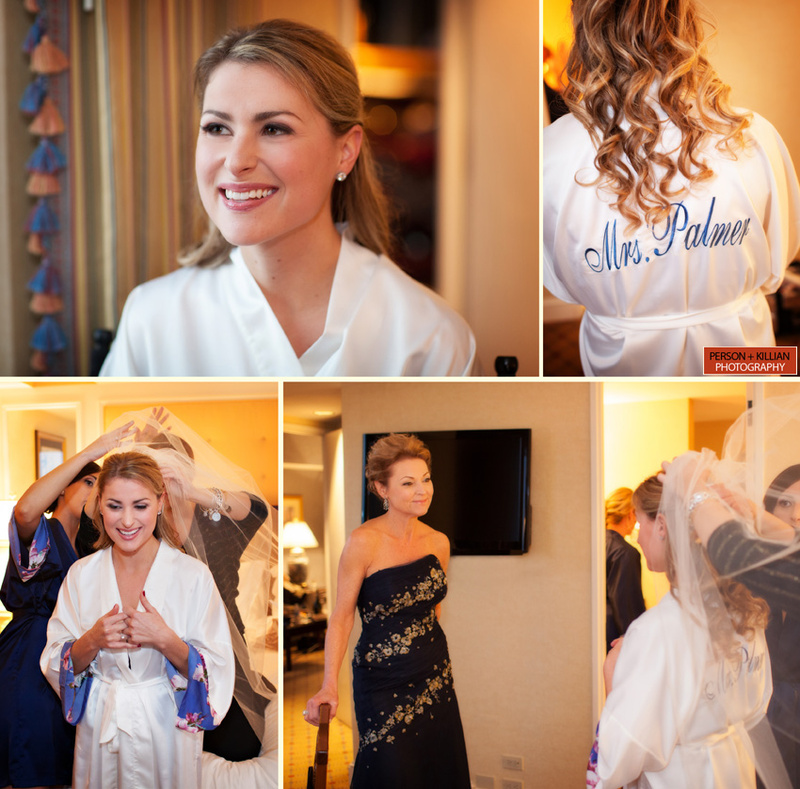 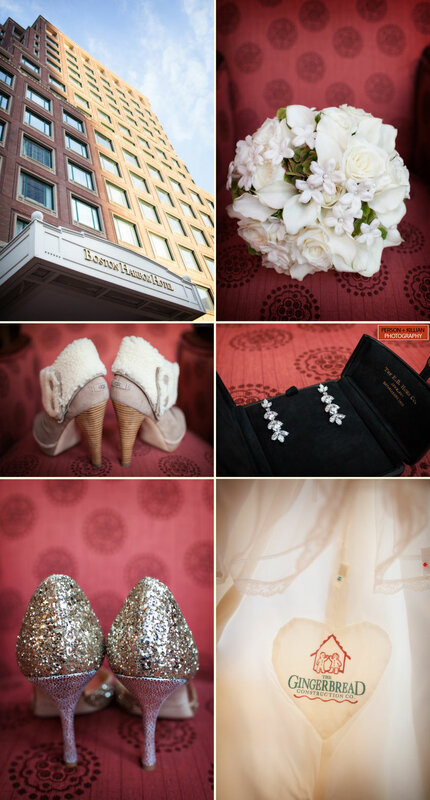 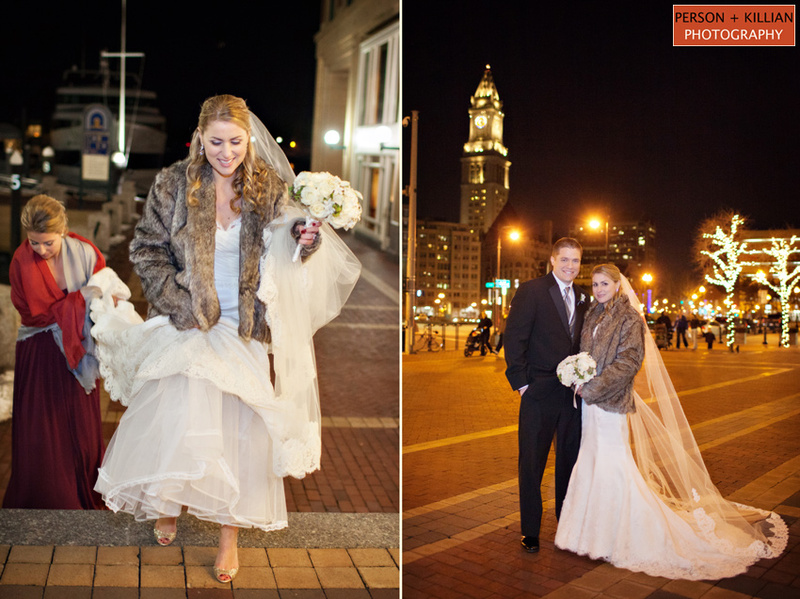 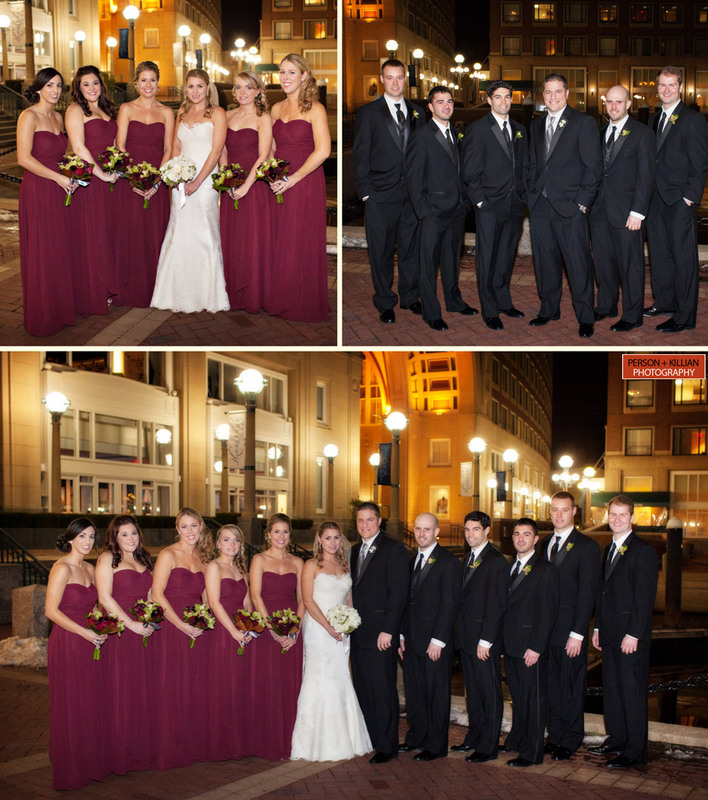 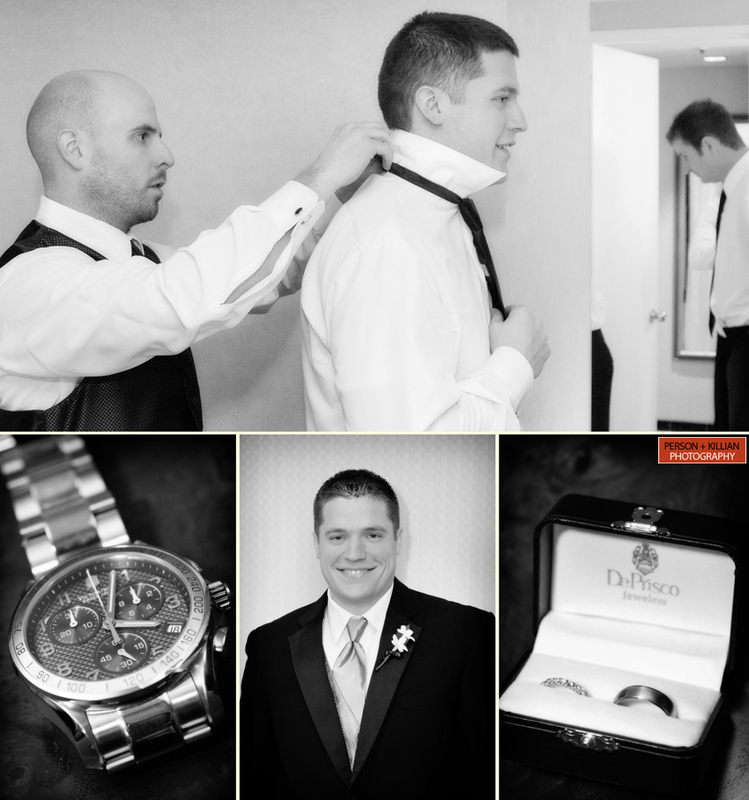 Following the ceremony, Ali, Jimmy and their wedding party were up for heading outside in the January night to get some pictures on Rowes Wharf, followed by some pictures with the newlyweds throughout the beautiful property. 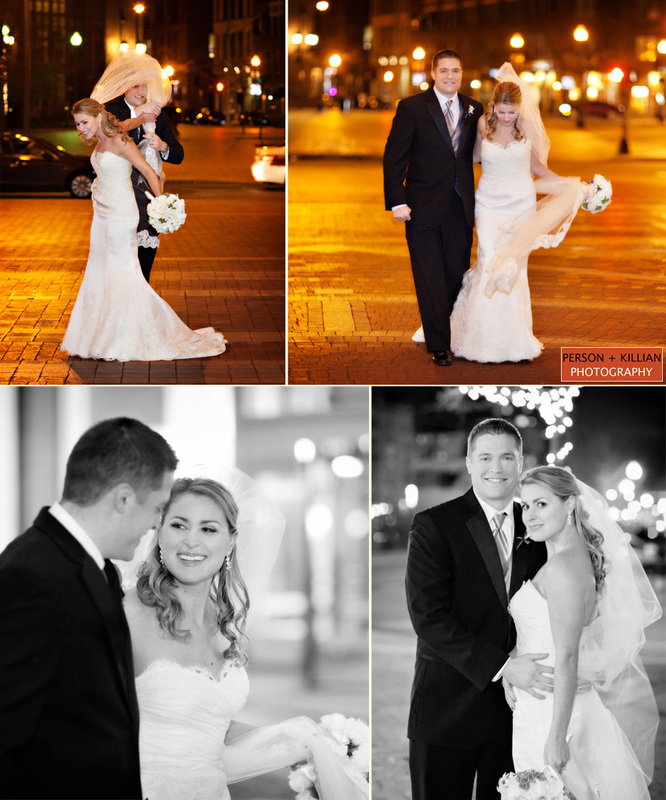 The various lights from the trees and venue made for a great background. 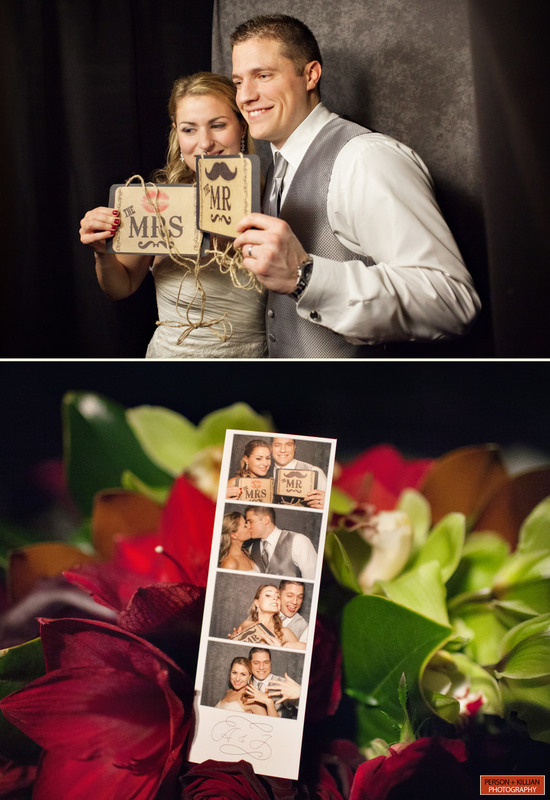 Ali’s family owns the Gingerbread Construction Co., so lots of fun personal details were incorporated throughout the night. 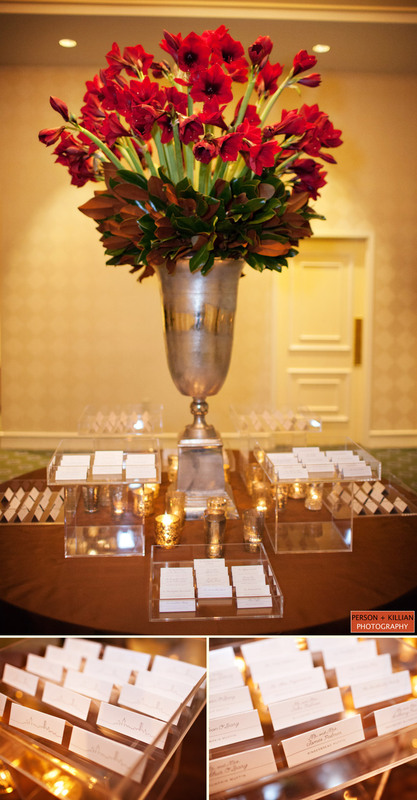 Tables were named for different flavors of muffins (with the head table being Gingerbread Muffin — Ali’s favorite! 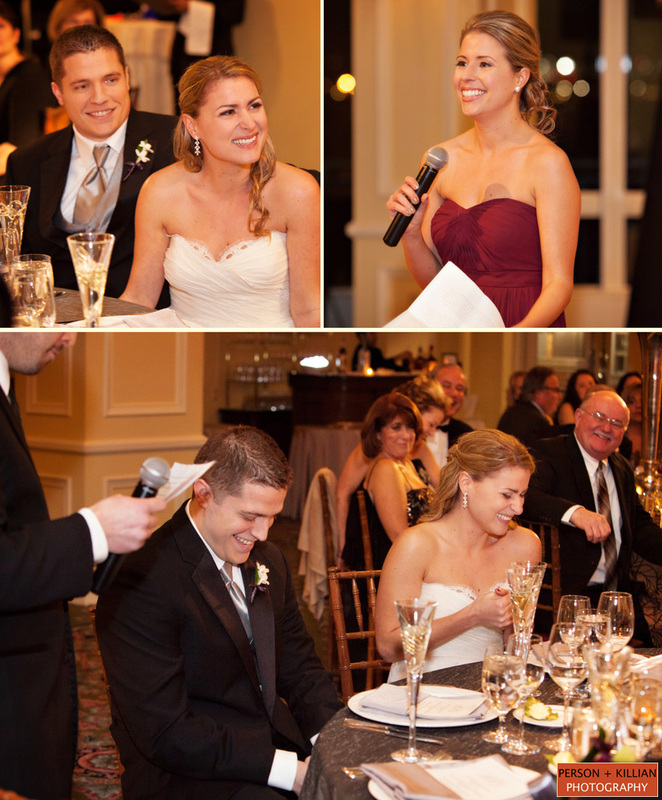 ), and guests got delicious muffins as take-home favors at the end of the night! 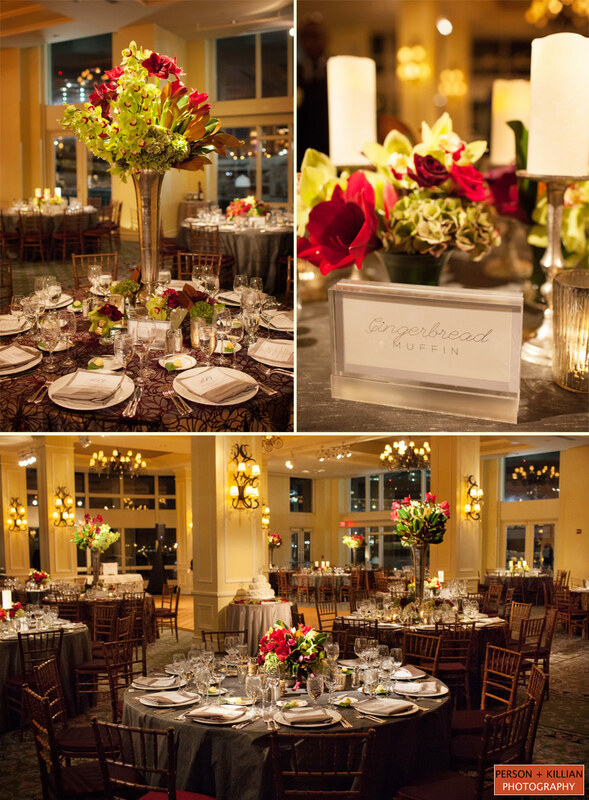 The reception space was beautifully decorated with alternating grey and floral-detailed maroon linens, topped with gorgeous green, red, and maroon floral arrangements. 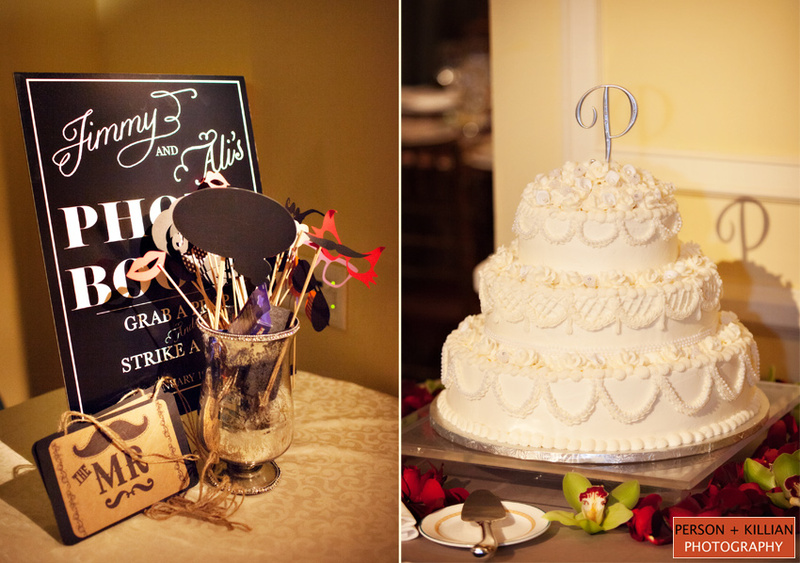 Even Ali and Jimmy’s wedding cake was personalized — it was an exact replica of the cake Ali’s parents had at their wedding. 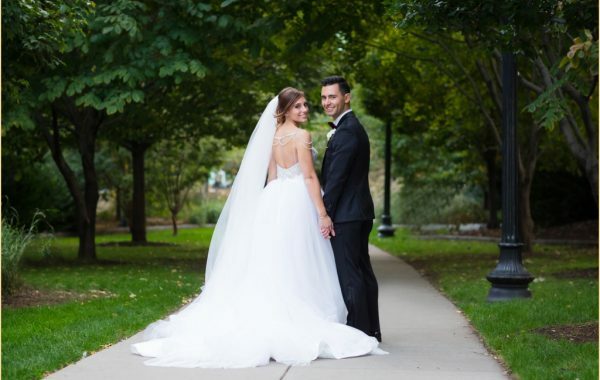 We loved spending this evening with such a great couple, thank you Ali and Jimmy!